Call center phone systems and software can range from basic to comprehensive, but they all help your business to deliver better service and utilize your resources more efficiently. We looked at all the top options and chose to review Nextiva, Talkdesk, and RingCentral. They cover the range from industry giants to relative startups and offer different solutions for different needs. Read on for our comparison and review of these three options, as well as our top recommendations. We recommend Nextiva as the Best Call Center Phone System and Software for Small Businesses in 2017 because of its comprehensive list of features, economical pricing, and exceptional customer service — something that is of particular importance to small businesses. Check out our article on Best Call Center Phones to find out which is the best hardware option to pair with your call center phone system. Nextiva offers a comprehensive list of features for an accessible price, but what most sets it apart from its peers, and what will most benefit small businesses, is its industry-leading customer service. Because of this, we recommend Nextiva as the Best Call Center Phone System and Software for Small Businesses in 2017. The interactive voice response (IVR) system greets your customers, guides them through your phone system using voice prompts, and allows for some self-serve options like basic account information. Automatic call distribution (ACD) intelligently routes your customer’s calls to the customer service representative who is best able to assist them, based on criteria you define like skill sets, knowledge, demographics, or language. Where Nextiva goes above and beyond its competitors is in its customer service. Their award winning team is there to guide you through the entire lifecycle of your service, from setup to training and ongoing support. Your business will be assigned a single point of contact for each phase, and 95% of their incoming sales and support calls are answered by the second ring with the goal of answering any question or resolving any issue within your first contact with them. One of the significant shortcomings of the Nextiva call center system and software is that it only supports two (2) third-party integrations. In this area, Nextiva falls far short of the over 25 third-party apps that both Talkdesk and RingCentral each support. While this wasn’t enough for us not to recommend Nextiva, we would still like to see them expand their third-party app support to become an even more flexible and adaptable solution. Talkdesk stands apart from its peers with its enhanced security features, which ensure compliance with federal data storage, management, and privacy regulations including the Federal Information Security Management Act (FISMA), Federal Risk and Authorization Management Program (FedRAMP), and HIPAA Business Associate Agreement. This makes Talkdesk particularly suited for businesses in the healthcare industry where sensitive patient data may be captured, stored, and accessed. 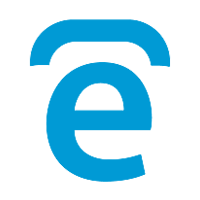 Similarly, ecommerce businesses will benefit from Talkdesk’s enhanced security features. Payment Card Industry (PCI) Data Security Standards (DSS) and data encryption are included with Talkdesk, but not Nextiva or RingCentral. Although RingCentral’s call center phone system and software includes a comprehensive list of features, we found little to positively differentiate it from the other options that we reviewed. While it would likely meet the needs of most small businesses, it would do so at a significantly higher cost than other similarly featured options. As well, we found the customer service to be lacking. 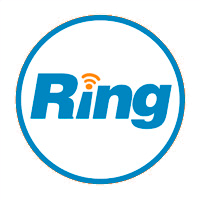 When we contacted RingCentral to request screenshots of their product to help augment our review, it took several emails for their representatives to respond to our questions and they were unable to assist us in the end. This did not instill us with the confidence we would need to proceed with them were we a prospective customer. Therefore, we are not able to recommend RingCentral’s call center phone system and software above its competitors. One of the foremost concerns for any small business building out their call center is that the phone system and software they use to do so is easy to setup, use, and his a minimal learning curve for supervisors and representatives. Small businesses may not have the resources to invest in a drawn out training process, so the more intuitive a system is to use the more value it can provide more quickly. The learning curve of any new tool is probably the most significant barrier to its adoption. No matter how powerful it is, it’s only as useful as the people using it. And for call center phone systems and software in particular, it must be easy to use to ensure that your representatives are maximizing its features to deliver the best customer service possible. Your phone numbers is either newly purchased or an existing one is ported into the system. Ring groups are created for calls to be routed to. Your representatives are added to the system and assigned to ring groups. Your phone number is configured in the system, such as routing it to specific ring groups. Your IVR and ACD are configured according to your business needs and rules. The specifics of how you navigate through these steps will vary based on the system, but the general idea is the same — initialize your phone number, create groups of representatives, add representatives and assign them to their group(s), and define how your calls are to be mapped and routed. Then you’re ready to start receiving calls! Nextiva’s industry-leading customer service begins when your account does. Your business is assigned a single point of contact for each phase of the lifecycle of the product, starting with the setup and training. In addition, a comprehensive knowledge base, including user guides, is available for the more self-sufficient user. Once the initial setup is complete, the web-based system is easy to navigate supervisors and representatives with training documentation available for both. Talkdesk is an ambitious startup that markets their call center phone system and software service as having all of the benefits of an enterprise-level product, but without all the complexity. It is an intuitive and thoughtfully designed solution, whose user experience will feel familiar to anyone who has worked with similar software as a service (SaaS) companies like Shopify or Salesforce. An online knowledge base, which includes user guides, a video academy, blog posts, ebooks, white papers, and other how to guides for basic setup and operations puts all of the information that a small business owner will need to get the service up and running at their fingertips. Talkdesk’s knowledge base is updated regularly with assets that contain in-depth information on all of the service’s existing features. As well, the knowledge base is updated with information to keep customers up-to-date on new tools and features as they’re released. This is in line with the setup support that RingCentral offers, but short of the more personal assistance from Nextiva. RingCentral’s “white-glove implementation services” includes a dedicated advisor, system training, and a collaborative review of how your business is maximizing your use of the service helps to ensure that your call center will be online and in operation quickly. RingCentral contact center phone system and software includes their My Agent eXperience (MAX) tool. 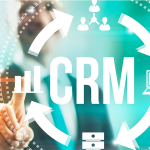 It’s intuitive and web-based, and displays your customer’s CRM details on your representative’s screens. It also offers CTI screen pop-ups to help reduce call times and enhance your customers’ call satisfaction. This easy to use tool will help to minimize your representative’s learning curve and allow them to help your customers more quickly and thoroughly. An online knowledge base, which acts as the hub of their training and support, includes guides and videos, a frequently asked questions list, community forums, and a learning center that guides users through most of the service’s features. RingCentral and Talkdesk offer similar self-service tools, but without the individual service that Nextiva offers to get your call center up and receiving calls quickly. Your customer service team is at the heart of your business and is often the first and/or most frequent interaction your customers have with you outside of your product or service itself. And your call center is often the first point of contact between your business and your customers, and directly reflects your commitment to their care. Arming your customer service representatives with the tools they need to deliver exceptional customer care, including the phone system and software that connects them, is imperative to the success of your business. Call routing and call queueing will place calls in queue, whether in simple sequence or based on the specific issue or the severity of it, and allows your business to assign who receives calls based on skills, demographics, language, or other logic you define. Computer telephony integration (CTI) software systems allow your customer service representative’s computers to interact with their telephones — or to replace them altogether. Call monitoring to allow your supervisors to be able to silently listen in and monitor calls for coaching and quality control purposes. Metrics and reporting to improve and optimize the effectiveness of your customer service call center by making data-driven adjustments to your service delivery to meet any changes. Interactive voice response (IVR) allows the computers behind your call center to interact with your human customers via the tones from their phone’s keypads or voice recognition. Nextiva’s call center service enables the rapid delivery of full-featured cloud-based call centers. Its core functions include intelligent call routing and distribution, web-based agent and supervisor clients, and comprehensive reporting capabilities. Call queues organize your representatives into specific queues based on logic that you define and routes callers into the queue that will best respond to their needs. And a flexible staffing structure means you can manage multiple locations and/or remote representatives through a centralized queue from a single dashboard. Call recording allows supervisors to record calls for training and coaching purposes, which helps to improve your customer’s experience and align any call scripting with your business goals over the long-term. Agent status display allows supervisors to see the entirety of their call center at-a-glance, including which representatives are on a call, which are busy, and which are available to receive calls. Nextiva also places a particular emphasis on metrics and analytics, which give call center supervisors immediate insight into their representative’s performance and allows them to make data-driven adjustments on the fly to optimize resource allocation. Reports can be customized with charts and graphs that help to visualize this data, and they enable your business to improve both your representative’s productivity and their interactions with your customers. Talkdesk represents the next generation of cloud-based call center software. 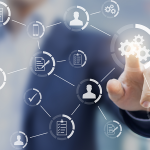 The easy to navigate and intuitive interface delivers many advanced features, comprehensive reporting, and integrations with third-party business tools to empower your customer service team to connect personally with your customers. When your customer’s calls are waiting, Talkdesk’s intelligent queue allows you to prioritize which calls are answered first based on the logic and business rules you define. And real-time statistics help you to make informed data-driven decisions when answering calls from the queue, which improves your customer’s experience. Talkdesk’s IVR is configurable entirely within your web browser using the system’s drop-down menus and text-to-speech messages, making it easy and quick to customize your IVR to your business. And once your customers engage with your IVR, the system’s ACD will work with your CTI to route calls to the appropriate queue. Call routing can be skills-based, demographics-based, language-based, or configured according to your specific business needs. Talkdesk also allows you to identify VIP callers to skip the queue and be routed to the next available representative. If a customer is disconnected from their call while speaking with one of your representatives and calls back within five minutes, Talkdesk’s unique intelligent reconnect feature will automatically route the customer back to the representative who was assisting them. If that representative is busy on another call, then the customer will be given priority sequence in the queue to minimize their wait time. This innovative solution helps to ensure continuity of service, enhances the customer’s experience, and helps to set Talkdesk apart from Nextiva and RingCentral. Finally, one key differentiator are the enhanced security features that make Talkdesk compliant with many federal regulations, including the Federal Information Security Management Act (FISMA), Federal Risk and Authorization Management Program (FedRAMP), and HIPAA Business Associate Agreement. This makes Talkdesk particularly suited for use in the healthcare industry, which is a vertical that they specifically target. Similarly, ecommerce is another vertical that Talkdesk’s security features allow them to target. Payment Card Industry (PCI) Data Security Standards (DSS) and data encryption set Talkdesk apart from both Nextiva and RingCentral. One glaring omission, however, is the lack of a mobile app. Most cloud-based call center phone systems offer the ability to manage your resources remotely through a mobile app, including Nextiva and RingCentral, but Talkdesk does not offer this basic tool. RingCentral, the cloud-based VoIP phone system provider, also offers a comprehensive call center phone system solution called Contact Center. The integrated software offers most of the advanced features that your business should expect from its call center phone system and is designed to allow your customers to choose the way that they wish to interact with your company’s customer service team. The service provides support for voice, online chat, SMS, email, and social media contact as well as inbound and outbound features to help you optimize how you allocate your resources. Advanced IVR capabilities help your customers self-service some issues and provides advanced routing functionality for both representative assisted and self-service features. Your customers will be able to self-solve some inquiries, such as basic account updates and payments. This will help to free up your representative’s time to assist other customers with more complex issues. Real-time metrics measure your agent’s performance, provide you with the data you need to inform your business decisions, and prebuilt and customizable reports help you to analyze and interpret this data. Workforce management and optimization tools can also assist you with scheduling, monitoring, and coaching your agents. The service also helps your teams scale to align with demand, allowing your supervisors to add and eliminate representatives on the fly. RingCentral’s proprietary My Agent eXperience (MAX) tool displays your customer’s account information from your CRM and offers CTI features like screen-pops to help decrease call times and improve the customer’s experience and your representative’s ability to assist them. MAX is unique to RingCentral; while Nextiva and Talkdesk may offer similar functionality, MAX is central to RingCentral’s user experience. The platform also offers various third-party integrations, which can help you pair your phone system with existing customer data, such as Salesforce, Google, Zendesk, and Box. And additional additional features include call suppression, speech recognition, and multi-lingual text-to-speech support. Integrating third-party applications into your call center phone system and software allows you to expand its features and functionality, creating a customized solution for your specific needs. It also allows you to better integrate your call center phone system and software with other tools that are used elsewhere in your business, which helps to better align individual departments. Both Talkdesk and RingCentral offer over 25 different third party integrations each, including CRM apps like Salesforce and help desk ticketing apps like Freshdesk and Zendesk. But with only two this is one area where we found that Nextiva fell far short of their peers. Nextiva: One of the significant shortcomings of the Nextiva call center system and software is that it only supports two third-party integrations, the lead management app SalesExec and the help desk and ticketing app Zendesk. While both of these integrations can help to expand the functionality of the Nextiva software, it falls far short of the over 25 third-party apps that both Talkdesk and RingCentral each support.We would like to see Nextiva expand their third-party app support and become a more flexible and adaptable solution for call centers. Talkdesk supports over 25 third-party integrations, with a few that differ from RingCentral including communication and collaboration apps like Slack, ecommerce apps like Shopify, and CRM apps like Microsoft Dynamics.Third-party app integrations are one of the areas where Talkdesk has a significant advantage over Nextiva. RingCentral also supports over 25 third-party integrations with a few that differ from Talkdesk, including file storage and sharing apps like Box and Dropbox, and productivity apps like the Google suite and Microsoft Office 365. While it might not be entirely fair to judge a call center phone system provider by the customer service they provide themselves, it can give some insight into their understanding of your needs and the needs of your customers. It is also an important consideration for a small business owner who won’t have the time or resources to dedicate to setting up, managing, or troubleshooting their system — it just has to work, and when it doesn’t, a resolution needs to be within easy reach. Nextiva has built much of their reputation on their exceptional customer service. 95% of their incoming sales and support calls are answered by the second ring with the goal of answering any question or resolving any issue within your first contact with them. And their multi-tiered support team provides a single point of contact for your business through each phase of your account — setup, training, and ongoing support.Nextiva achieves this by ensuring that customer interactions are as frictionless as possible. They match their clients with support representatives based on the client’s needs, lines of business, and the skill sets of their support representatives. For example, large enterprise clients with in-house IT departments will be paired with a dedicated team of account managers and technical specialists. Conversely, smaller businesses will be paired with support representatives who are more familiar with initial setup and training and those product features that are more likely appeal to smaller businesses. 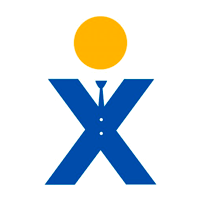 Nextiva has been awarded the North American Frost and Sullivan Award for Customer Service Leadership and they have received Stevie Awards for Innovation in Customer Service and Customer Service Department of the year in the telecommunications field. By these measures, Nextiva was the clear standout for customer service. Talkdesk’s support resources emphasize self-serve online tools. Their comprehensive knowledge base includes a video academy, resource guides for quick starts and third-party integrations, and the ability to contact their support team by email or phone “around-the-clock” (which we assume to mean 24/7, but no specific hours were stated).We found that the range of support tools that Talkdesk makes available to be quite lacking when compared to Nextiva and RingCentral. In fact, it was the most noteworthy drawback of the service and one that most small business owners would want to be aware of. RingCentral’s “white-glove implementation services”, which includes a dedicated advisor, system training, a collaborative review of how your business is maximizing your use of the service, and more, helps to ensure that your call center will be online and in operation quickly.Once you have the service installed, RingCentral provides a comprehensive online knowledge base to help ensure your success. New user guides, weekly webinars, frequently asked questions, and a community forum give a range of self-serve options for the more self-sufficient user. And for users who require personal assistance, RingCentral offers telephone support from 8am to 9pm EST, online chat support 24/7, and the option to open a ticketed case should your issue require it. Most of the call center phone systems and software that we reviewed in our research covered the basics that a small business would expect — IVR, ACD, call monitoring, and metrics and analytics. However, Nextiva emerged as our recommended call center phone system and software for small businesses because of its comprehensive list of features, economical pricing, and industry-leading customer service — something that will be of particular importance to small businesses who work with limited resources and need a solution that is easy and reliable. Gavin is an editor at Fit Small Business, focusing on a variety of small business topics. Gavin has been at the intersection of content management and creation in the digital marketing world for over ten years. As a project and production manager, he led cross-functional teams and owned client relationships in the automotive, fashion, hospitality, and media industries. 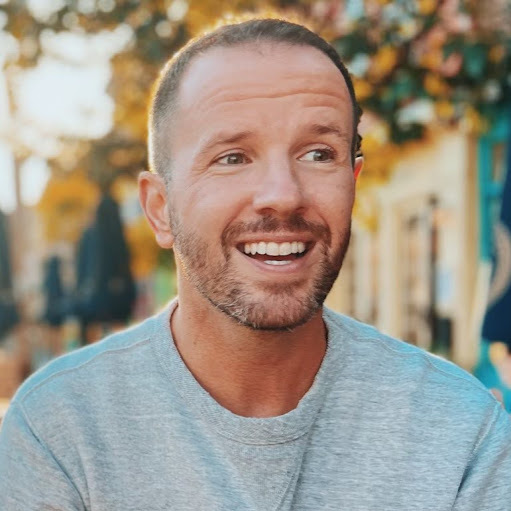 While working at various entrepreneurial startups, he created content for clients, rethinking their web presence and developing strategies to reposition their brands online. When he’s not writing, Gavin is a marathon runner, proud parent of an Australian Shepherd, and craft beer geek. He lives in Toronto, Canada. Do you have a specific service you were wondering about pricing-wise? Try Our #1 Rated Business Phone Provider!